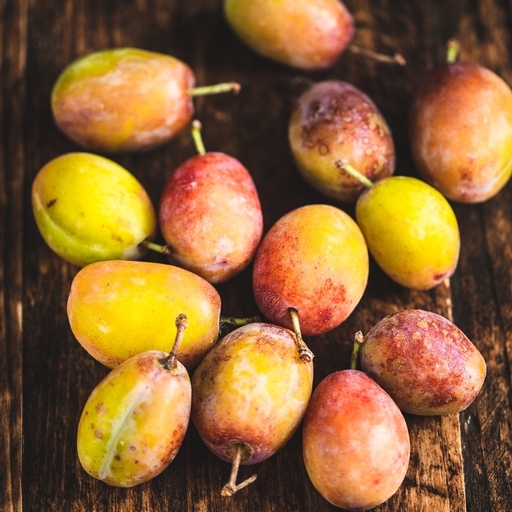 Plump, luscious organic plums. After you’ve eaten your fill straight from the fruit bowl, consider poaching with honey and vanilla, simmering into a compote or heaping in a pie or crumble. They work well in savoury dishes too – cutting through the richness of meat in a chicken liver salad or cooked down into a sauce. Before cooking, halve plums from top to bottom then tease out the stone with a small sharp knife. They make wonderful traditional puddings, from crumble and sponges to pies. One of our favourites is Kirsty’s shortbread with roasted plums in orange, honey and cinnamon.